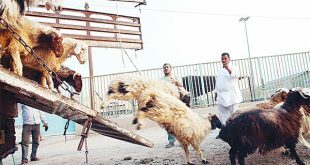 SYDNEY, Dec 4, (RTRS): Australia’s livestock exporters will stop shipping live sheep to the Middle East for three months each year from 2019, an industry body said on Tuesday, amid rising public anger over the trade worth around A$55 million ($40 million) annually. 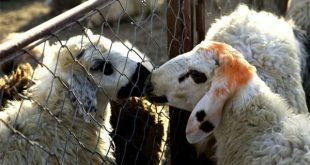 The Australian Livestock Exporters Council (ALEC) said its members had voluntary agreed to halt shipments of live sheep to the Middle East during the northern hemisphere summer. 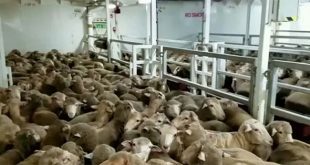 The move comes amid widespread public anger after footage emerged showing the death of 2,400 sheep on a ship bound for the Middle East, prompting calls for the entire trade to be prohibited. “This is about maintaining and growing a strong, viable ninemonth- a-year live sheep trade and, more broadly, securing the future of Australia’s livestock export industry,” Simon Crean, ALEC’s chairman, said in an emailed statement. The move by ALEC could ease some of the strain on the ruling conservative government. 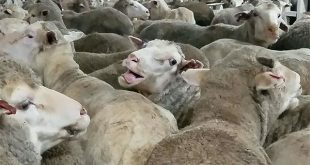 Several members of Prime Minister Scott Morrison’s Cabinet have backed calls to ban the entire live sheep exporting industry, a move that threatened to fracture the government. Australia’s chief commodity forecaster in September said it expected 1.9 million live sheep to be sold this year, worth A$250 million. 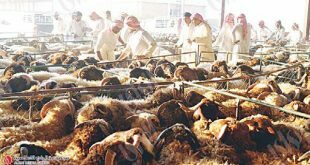 Around of a fifth of all live sheep are forecast to be sold to Middle Eastern countries.